"Saturday Savior" Helps Save A Garage! The Early Show is trying to help make life a little easier for viewers with its brand new series, "Saturday Savior." Each week, we'll "come to the rescue" of someone who e-mails us, asking for assistance with life's little problems. Have a big date coming up and need help to revamp your look? Want to spruce up your yard, or need a hand keeping bored kids busy during summer break? Let us know, and we just might send a Saturday Savior to help you out. This week, we aided viewer LaDonna Durham of Georgetown, Ky., who e-mailed us, "My husband has worked almost every Saturday and most Sundays for the past couple of years, and hasn't had time to clean up our garage in that long. Our children moved and came back a couple of times, which created even more junk. Please pick me for the show. I am sure this will be embarrassing, but I can't take it anymore." The garage was a nightmare, overflowing with junk of all kinds, all over There was NO way to even THINK of fitting a car in there! Well, LaDonna asked, and the Saturday Savior came calling. We asked professional organizer Vicki Norris, president of Restoring Oder and author of a book by the same name, to take charge. We showed the garage before Norris and some helpers had at it, and after. WHAT a difference! Night and day! 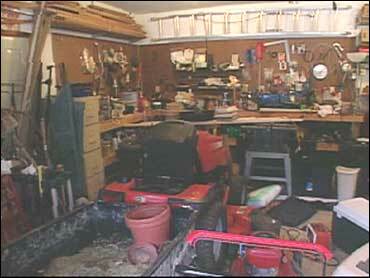 For complete details from Norris on what it takes to organize a garage, click here.